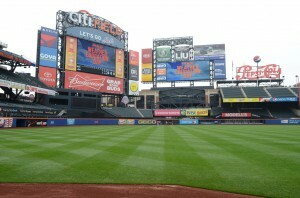 NYC, July 16, 2013 – Citi Field will host The 84th Major League All-Star Game. The 2013 American League and National League All-Star Teams will be unveiled on Sunday, July 7thon the 2013 MLB All-Star Game Selection Show presented by Taco Bell, televised nationally on TBS. The A.L. All-Star Team will have nine elected starters via the fan balloting program, while the N.L. All-Star Team will have eight fan-elected starters. The pitchers and reserves for both squads – totaling 25 for the N.L. and 24 for the A.L. – will be determined through a combination of “Player Ballot” choices and selections made by the two All-Star managers – A.L. skipper Jim Leyland of the Detroit Tigers and N.L. manager Bruce Bochy of the defending World Series Champion San Francisco Giants. Immediately following the announcement of the American League and National League All-Star rosters on Sunday, July 7th, fans will begin voting to select the final player for each League’s 34-man roster via the 2013 All-Star Game MLB.com Final Vote Sponsored by freecreditscore.com. Fans will cast their votes from a list of five players from each League over a four-day period and the winners will be announced after the voting concludes on Thursday, July 11th. Now in its 12th season with more than 350 million votes cast, fans again will be able to make their Final Vote selections on MLB.com, Club sites and their mobile phones. This year’s final phase of All-Star Game voting again will have fans participating in the official voting for the Ted Williams All-Star Game Most Valuable Player Award presented by Chevrolet. During the Midsummer Classic, fans will vote exclusively online at MLB.com and the 30 Club sites via the 2013 All-Star Game MLB.com MVP Vote, and their collective voice will represent 20 percent of the official vote determining this year’s recipient of the Arch Ward Trophy. The 2013 All-Star Game will be played at Citi Field on Tuesday, July 16th. The 84th All-Star Game will be televised nationally by FOX Sports; in Canada by Rogers Sportsnet and RDS; and worldwide by partners in more than 200 countries via MLB International’s independent feed. Pregame ceremonies will begin at 7:30 p.m. (EDT). ESPN Radio and ESPN Radio Deportes will provide exclusive national radio coverage of the All-Star Game. MLB Network, MLB.com and Sirius XM also will provide comprehensive All-Star Week coverage. For more information, please visit allstargame.com or mets.com/asg. Bermuda Limousine International can provide you chauffeured transportation to the game. We can provide Sedans, SUV’s, Limousines, 12 passenger Club Vans, 25 Passenger Van, and more. Call us at 212-647-8400 for your reservation. Reserve now and receive 5% off your reservation.